In music notation, the time signature is placed at the beginning of the staff after the clef and the key signature. The time signature indicates how many beats there are in each measure, and what the value of the beat is. The time signature is typically displayed as a fractional number — common time being one of the exceptions — where the top number indicates the number of beats per measure, and the bottom number indicates the value of the beat. For example, 4/4 means four of a beat. The bottom four symbolizes a quarter note value. So there will be four quarter-note beats per measure. However, if the time signature was 6/4, there would be notes per measure. Mensural notation was used in music notation from the late 13th century through to around 1600. It comes from the word mensurata which means "measured music" and was used to bring definitions in a numerical system that could help musicians, primarily vocalists, define the proportions between note values. During its development throughout the centuries, different methods of mensural notation emerged from France and Italy, but eventually, the French system became systematically accepted across Europe. This system introduced ways of notes to be given values of units, and whether a note would be read as ternary, which was considered to be "perfect," or binary, which was considered to be "imperfect." There were no bar lines used in this type of notation, so time signatures were not yet relevant for reading music. 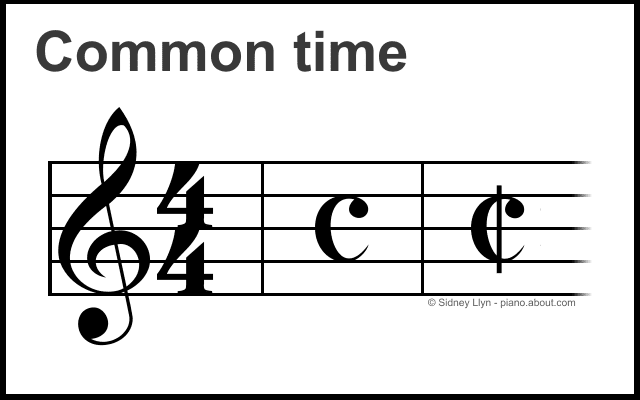 Today, the common time symbol represents the simplest duple time in music notation — and perhaps the most frequently used with pop musicians — which is the earlier mentioned 4/4 time signature. 1 Write it Right! 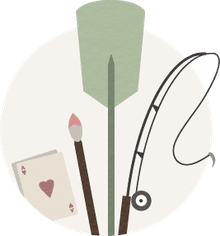 [pg. 12]: Dan Fox. Published by Alfred Publishing Co., 1995. What Is an Articulation in Music? Musical Definitions: What Does "Cut Time" Mean?